NO REFUNDS OR RAIN CHECKS! Note: In the event of rain Friday-Saturday no refunds or rain checks will be issued and program will be completed the next day as per the schedule below. Everyone will be required to purchase a pit pass or admission ticket the next day. 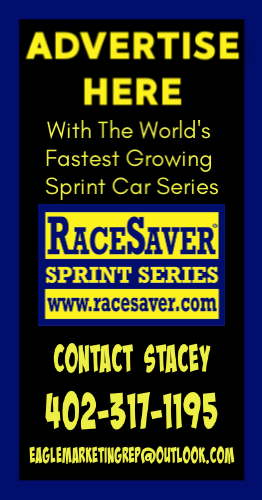 Count down to the Precise Racing Products RaceSaver IMCA Sprint Super Nationals Weekend! It’s almost here…the 2nd Annual Precise Racing Products RaceSaver IMCA Sprint Super Nationals Championship Weekend…fueled by NMC Cat Rental Store & Venom Energy Drink! Make your Plans now to attend Nebraska’s Vacation Destination…Eagle Raceway… America’s Home Track! Attention Drivers coming long distances to race with us for Super Nationals… The 2 Drivers coming from the Farthest Distance that pre-enter before 7/1/14 will win a Super Nationals weekend stay at Comfort Suites East in Lincoln.